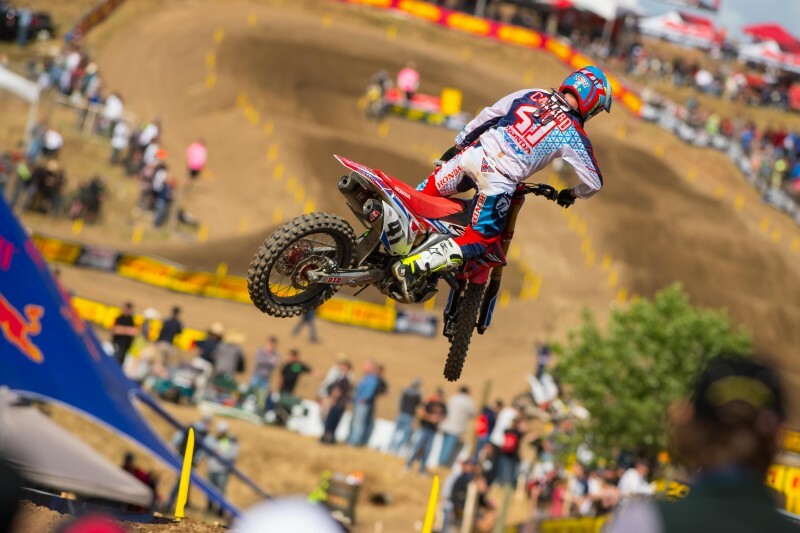 Held in Rancho Cordova, California, the opening round of the AMA Pro Motocross championship was positive for Team Honda HRC, as riders Trey Canard and Cole Seely turned in solid rides, finishing fifth and sixth overall, respectively. In the day’s first moto, both racers got off to exciting starts aboard their CRF450R race bikes, with Seely grabbing the holeshot and Canard close behind in tow. 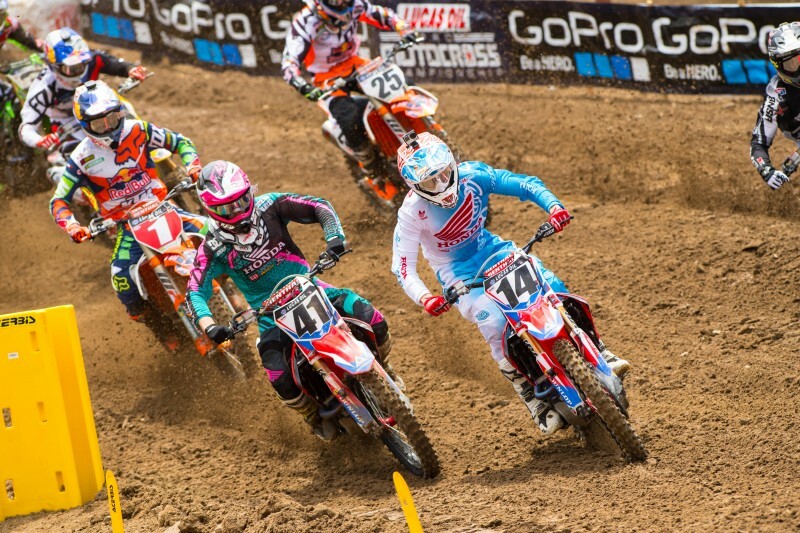 It was a hectic first lap as they battled each other and other riders for position, with Canard overtaking his teammate for second. Unfortunately, he fell on the next lap and remounted outside the top 10. 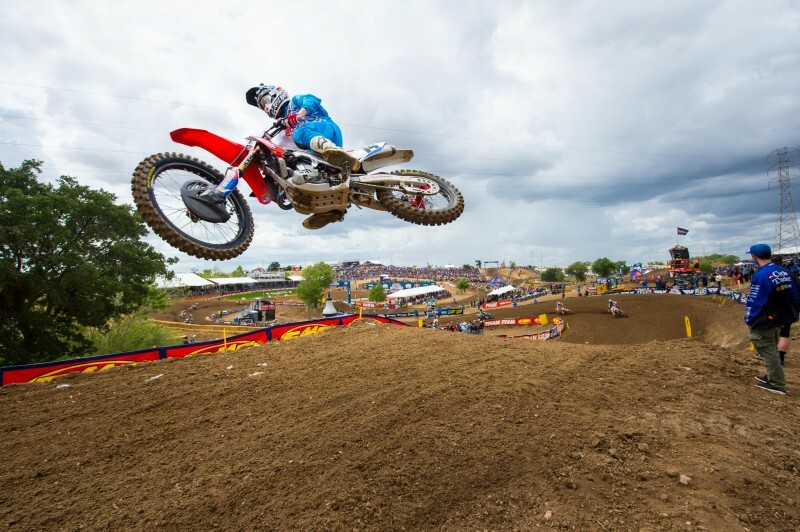 Seely maintained third for nearly the entire 30-minute-plus-two-lap race, but he relinquished two spots in the closing laps, taking the checkered flag in fifth. 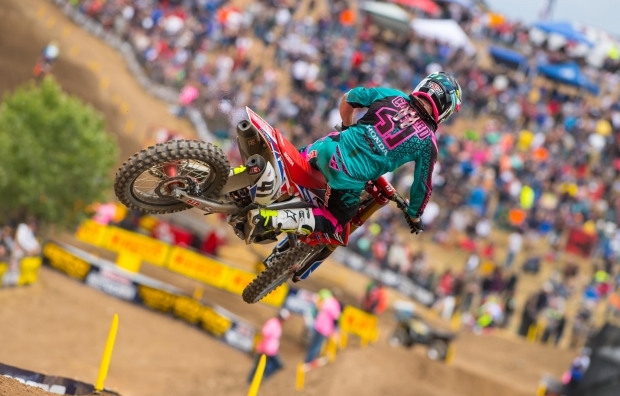 Canard had another mishap near the midway point but rebounded to finish seventh. Starting side-by-side in moto two, Canard and Seely got off to less-than-desirable starts, sitting outside the top 15. Canard put his head down and quickly went to work picking off the competition, moving into 12th by the completion of lap one. He continued to advance throughout the race, ultimately finishing fifth. 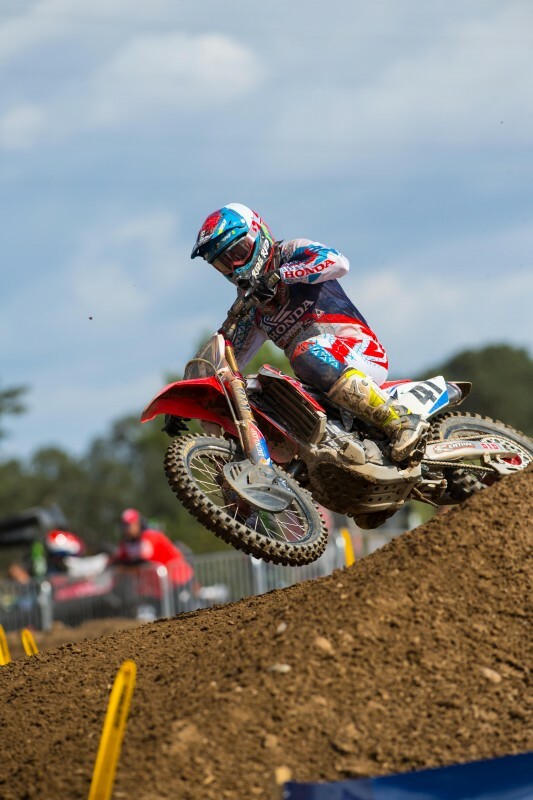 Seely had a more difficult time navigating through the pack early in the race but found his stride toward the halfway point and worked his way into 10th by the finish. 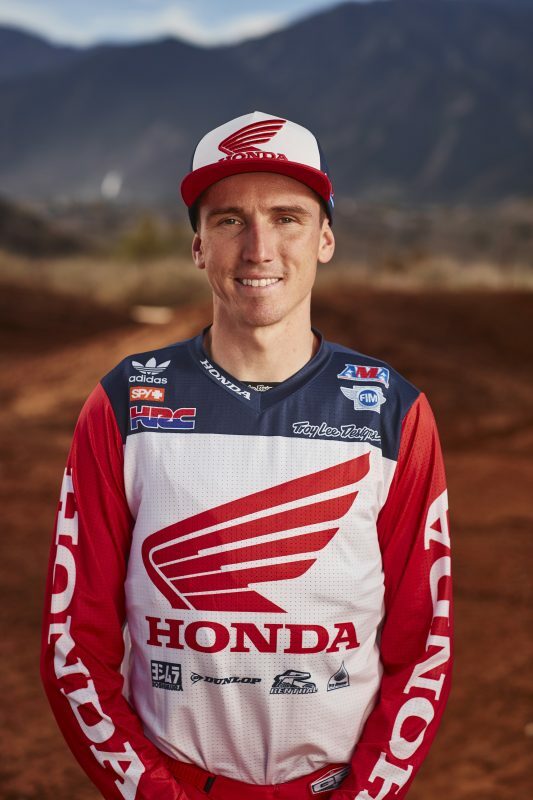 One the eve of the race, Seely and Honda HRC teammate Trey Canard were joined by GEICO Honda’s Justin Bogle, Christian Craig, RJ Hampshire, Jordan Smith and rookie Tristan Charboneau for an autograph signing at the local powerhouse dealer, Roseville Honda. Fans lined up to meet their favorite riders and for a chance to win a Honda Grom. At the conclusion of the event, Seely drew the winning ticket, with the Grom going to Jared Beard. 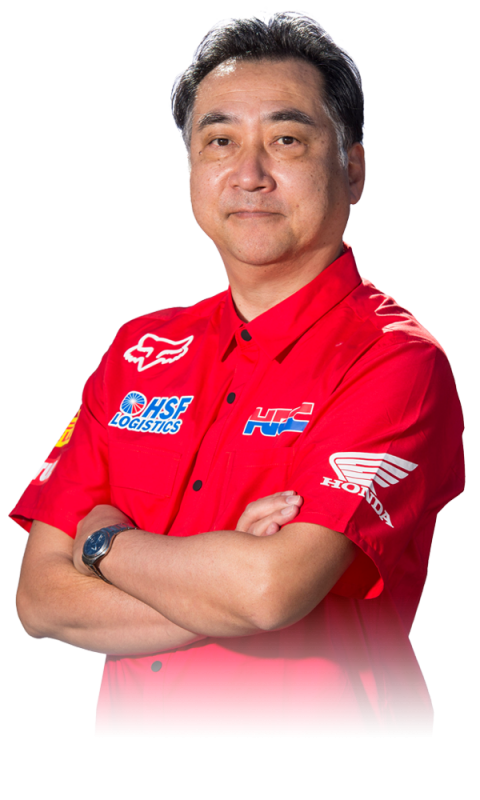 Team Honda HRC was pleased to host Honda Racing Corporation’s Representative Director Keisuke Inomoto and 11-time All Japanese National Champion Akira Narita for the opening round of the AMA Pro Motocross series. 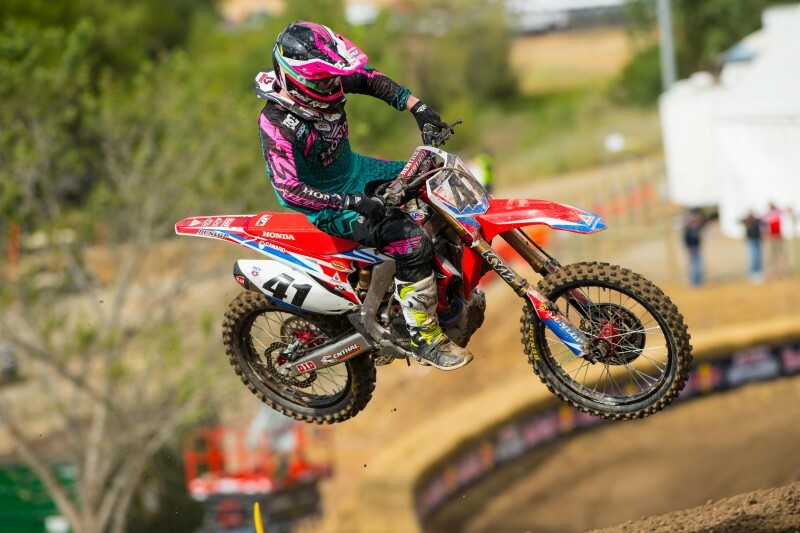 Canard led the charge for Team Honda HRC during Saturday morning qualifying, setting the day’s second-best time of 1:55.239 in the first practice session. Seely landed sixth with a 1:57.105, while Bogle was 11th at 1:58.057. As the day progressed and the 1.2-mile track become rougher, times rose above the two-minute mark. 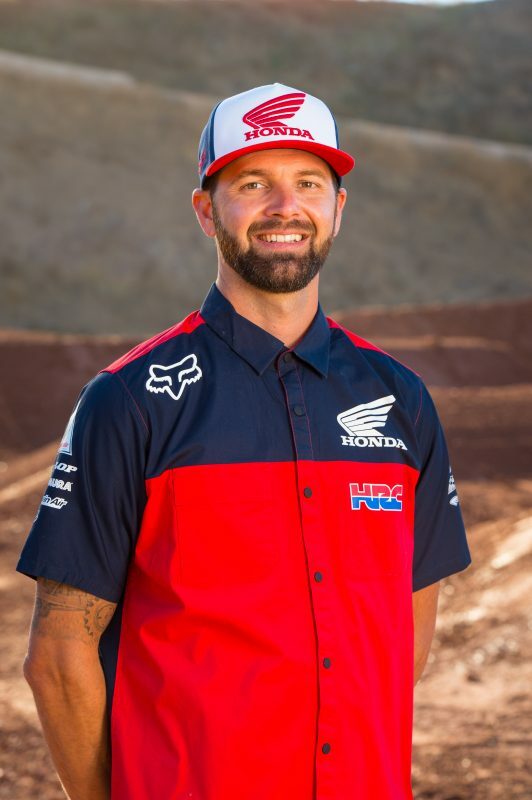 The Honda Red Riders will be at Southern California’s Glen Helen Raceway this Saturday, May 28, for round 2 of the AMA Pro Motocross series. 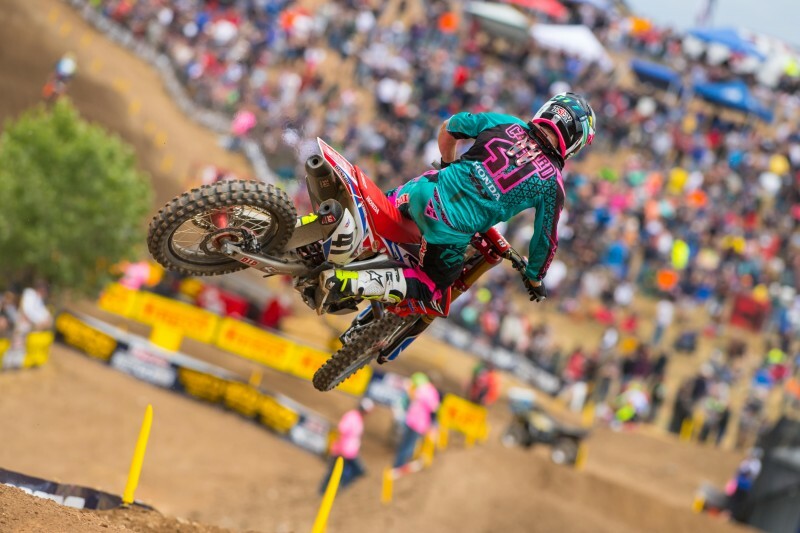 On Friday evening, riders will head to Malcolm Smith Motorsports in Riverside, California, for an autograph session. 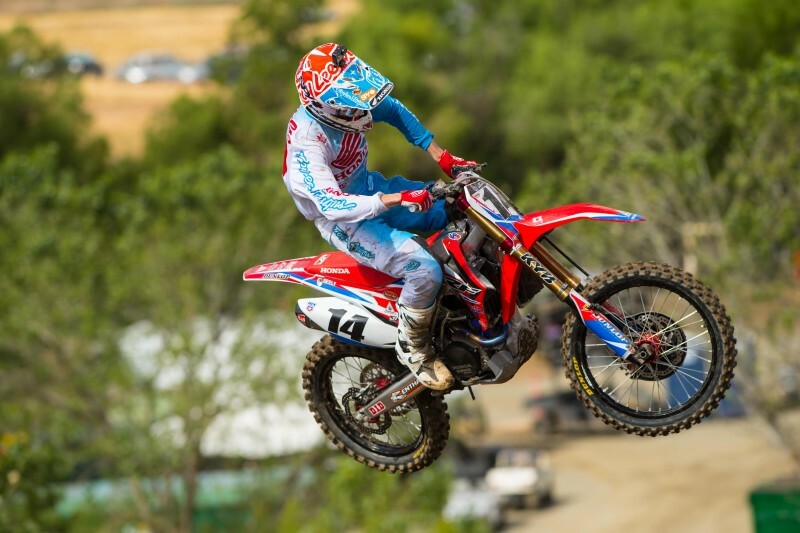 On Friday at the Hangtown Motocross Classic, American Honda Motor, Co., Inc. donated a number of off-highway vehicles, ranging from youth motorcycles and ATVs to side-by-sides, to the California State Parks. On hand were Parks officials including Director Lisa Mangat, as well as representatives from American Honda. Honda provides the vehicles for the Off-Highway Police Activities League (OHPAL) program. OHPAL is a recreation and mentoring program that uses the attraction of off-highway vehicles along with a comprehensive curriculum to develop positive relationships between peace officers and youth while fostering safe and responsible OHV riding behavior. I feel good, and I think there were a lot of positives to take away from today. We still have some work to do, but overall I’m happy and think the team did a great job. Despite some mistakes here and there, I felt like I was riding really well. I got a good start in the first moto, which is a big confidence builder for me since I’ve been struggling there. I just need to keep working on that, continue dialing in the bike and try not to get frustrated with the small things. I’m looking forward to getting back out there next weekend. I’m both happy and sad with how the day went. There were some good and bad aspects but I think it was a pretty good start to the season—definitely something I can build on as the series continues. The first moto was really good; I was happy with the way I rode, but I still need a little more at the end. I put a lot into that race and didn’t really recover enough to go into the second moto with the same heat and aggression. I’m still building and trying to become a better outdoor rider. It’s a whole learning process, and I want to try to just step it up in general. It was good to see where we are and know what we need to work on for next weekend. 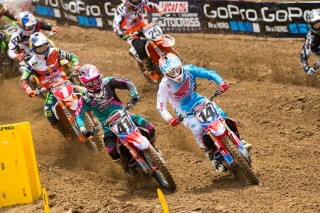 It was a good start in the first moto, with Honda guys sitting 1-2-3! Canard and Seely rode well but had a few small mistakes and missed the podium. 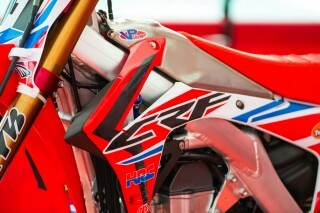 I think our riders and the bikes are capable of winning, so we’ll work on some details for the next race. I think we saw some good and bad today. We know Cole has the speed, but it’s up to about the 20-minute mark, so we need to build past that point and work on his fitness for the second motos. He needs to continue to build his strength from here on out. He was really happy with the bike coming into today, but we did make a small adjustment to the shock before the second practice that worked out a lot better. 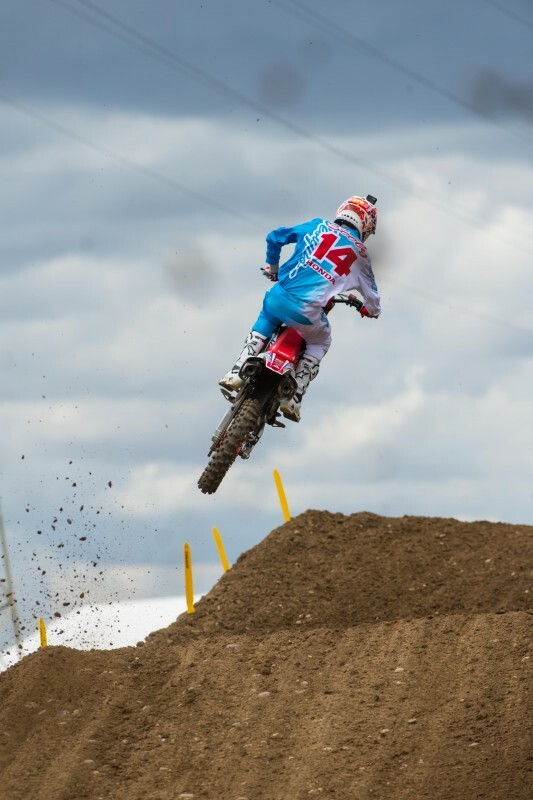 We didn’t make any adjustments during the motos, which is where I think we learned something. We should probably make an adjustment going into that second race based off how the track is developing and how he’s feeling. It was learning for everyone, so we just need to go into next weekend and apply those things we’ve learned.